What finishing technique is best? These suggestions may surprise you. Ask any ten boaters how they protect the wood on their boats, and you&apos;ll get ten different answers, sometimes at length. There is no question that the deep, lustrous look of 12 coats of gloss varnish on a caprail epitomizes boating elegance, but living with that maintenance reality is a different story. It used to be that traditional varnishing or leaving the wood bare were your only choices, and the “bare” option worked only for teak. Modern chemistry has changed all that, providing a bewildering number of choices for finishing wood. A casual look at a boating-supply Web site shows 27 types of varnish alone. The countless finishes out there today have evolved to meet your boat&apos;s interior and exterior wood needs in varying degrees. Here&apos;s a rundown of some of your better options as well as some reasons why one might work better than another for different parts of your boat. Varnishes have been around the longest in terms of protecting onboard wood. They guard brightwork against water, oil, grease, and the sun&apos;s ultraviolet (UV) rays. Thin veneers require careful hand sanding. Most varnishes are composed of varying amounts of oil, resin, solvent, drying agent, and UV-protection additive. What differentiates one from another is the type and amount of each ingredient. For example, satin varnishes, which are designed for use below decks, typically have much less UV additive than exterior gloss varnishes. Such interior products also tend to have more flattening agent, which provides the satin-finish look. Each of the components in a varnish contributes to overall effectiveness and purpose. The oils (most commonly tung oil in high-quality varnish and soya in lower-quality varnish) let the varnish penetrate the wood fibers. The more oil in a varnish, the better it penetrates the wood. Resins can be organic, as in traditional varnishes, or synthetic, as in more modern formulas. The resin component in a varnish contributes significantly to water resistance, and the resin-to-oil ratio affects both drying time and final-coat durability. In general, the longer a varnish&apos;s drying time, the more durable its finish; that also means increased risk of defects during drying due to insects, dust, and weather changes like rain or dew. The solvents and dryers in a varnish provide brushability and contribute to the varnish&apos;s final flexibility and water resistance. The UV additive obviously protects both the wood and the finish from the sun&apos;s rays. Given all of these components, your choice of a varnish is a complex compromise. The harder the varnish, the more durable the finish in terms of scratch resistance and water damage. However, the softer a finish, the less likely it is to become brittle and crack as wood expands and contracts. In a basic sense, a varnish that holds up well in Maine won&apos;t be the best for use in Florida. Varnish is also more difficult to apply than some other finish choices. A proper finish is built from multiple coats—12 or more—applied at specified times and after a specified surface preparation. That&apos;s no small task on a boat with extensive wood, which is why manufacturers have come up with other options, including coatings, oils, two-part finishes, combinations, and paint. Once they&apos;re applied to wood, veneers can be stained and then finished. The most widely used nonvarnish coating is probably Sikkens Cetol. It uses some of the same components as varnishes (resins and UV additives, for example) but differs in characteristics. Sikkens Cetol is thinner, penetrates deeper, and provides a microporous finish that allows the wood to breathe. 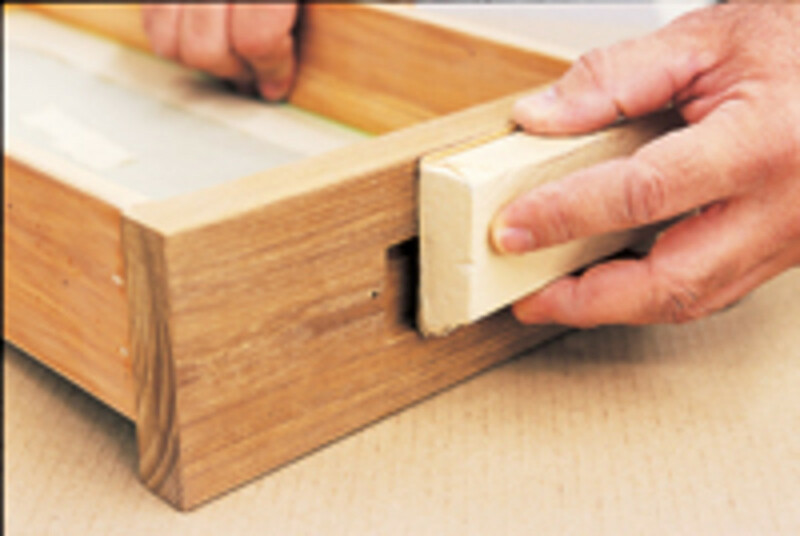 Application is easier than varnishing because thinner liquids flow more readily. Three to four coats are recommended, with a yearly maintenance coat suggested. 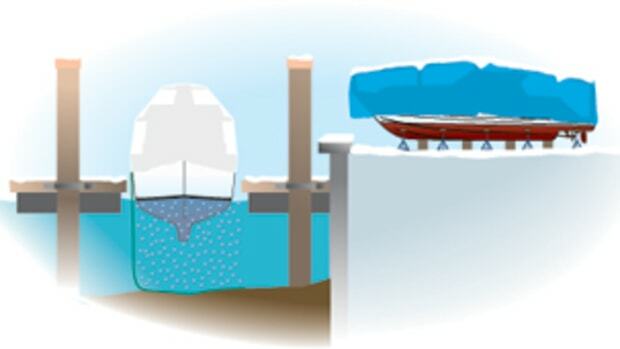 More frequent recoating is necessary in harsher climates such as Florida and the tropics. The normal finish is satin, but a gloss topcoat is available. Treating wood with oil is a time-honored tradition. Typically the best oil for boaters is tung, but linseed is another option (note that it darkens much faster than tung). In either case, apply the oil by wiping it on with an oil-soaked rag. The process is easy, and you determine how many coats you need based on when the wood surface becomes saturated. 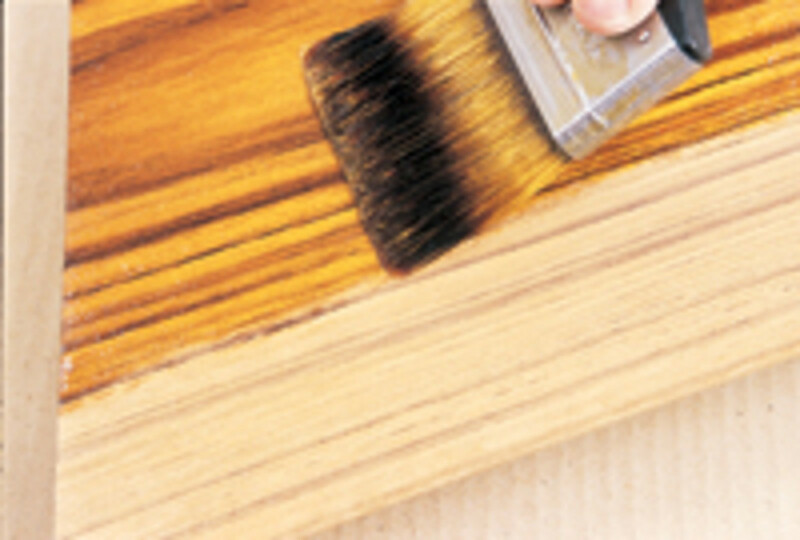 An oil treatment enhances the look of wood, providing a natural satin finish. Unfortunately, that look doesn&apos;t last long because the oils darken in sunlight. 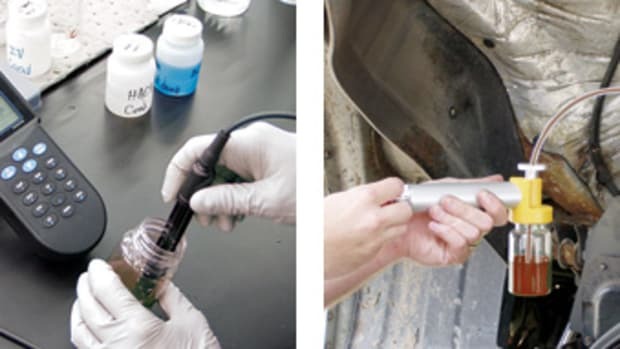 Many manufacturers add UV protectants, pigments, and other compounds as preventive measures, but regardless, you should plan on applying multiple coats both at the start and as part of routine maintenance. What&apos;s better, varnish (organic or synthetic), two-part polyurethane, or varnish over epoxy? The decision depends on your own personal preference. 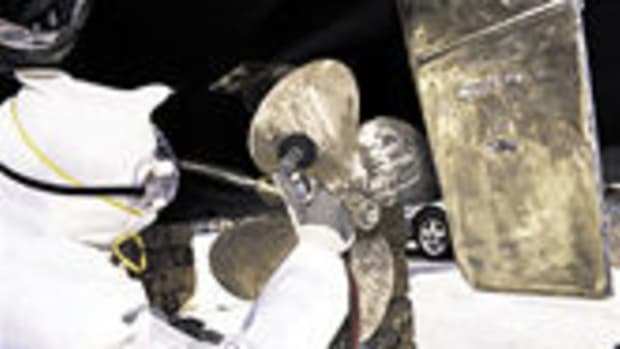 Modern chemistry offers us boaters the choice of a catalyzed finishing system in which a catalyst cures the resin into a durable surface. Awlgrip Awl-Brite, Bristol Finish, Honey Teak, and Interlux Perfection Varnish all fall into this category. These products are similar to two-part paints, but without the pigment. Two-part finishes have good durability and allow for fast application. You often have to wait just three hours before applying an additional coat, so you can apply multiple coats in the same day, reducing the overall time required to achieve an excellent finish. Most of these products also provide a clear, unpigmented coating, accentuating the natural wood look. Inventive boaters have concocted some of their own finishing solutions. One of the more common and successful is using epoxy as a base for a final finish. Start by sanding and prepping the wood, and then apply the epoxy, usually three coats&apos; worth. The epoxy provides a strong, stable base coat that seals and protects the wood. The problem with epoxy is that it has no UV protection and begins to discolor and break down after being exposed to the sun&apos;s rays. To solve this problem, apply several coats of a high-UV varnish over the epoxy. 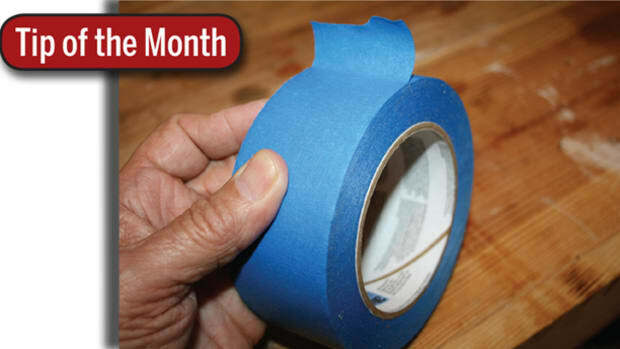 One caveat: Test your varnish over the epoxy on a sample before applying it to your boat. Some varnishes are incompatible with the epoxy substrate and won&apos;t fully cure. Properly clean and prepare the epoxy surface, too. Despite these drawbacks, this method provides a durable finish that needs few maintenance coats of varnish. The harsh tropical sun is deadly to a fine varnish finish. Many warm-climate cruisers have decided that instead of trying to maintain that classic deep-varnish look on their brightwork, they&apos;d rather just become heretics and paint it. 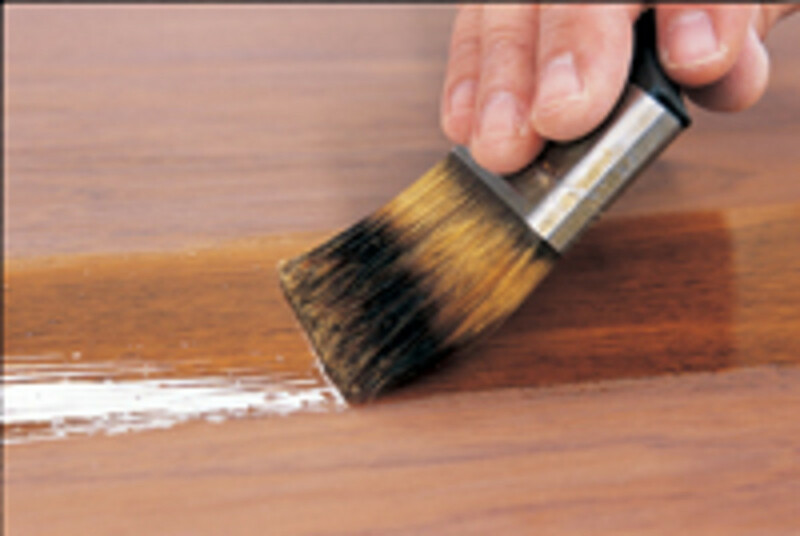 If you find yourself in similar straits, you can apply several coats of white paint over a good varnish base. The paint protects both the varnish and the wood. When you return to a more hospitable environment, you can remove the paint and restore the varnished brightwork to its original look. Like I said, it&apos;s heretical. But it is also undeniably practical. No matter which finish you choose, prep work, including taping off adjacent areas (left) and sanding (right), is the key to quality results. Another traditional approach is simply to do nothing, at least in the case of teak. When left exposed to the weather, teak naturally ages to a light gray color that some people (especially those tired of varnishing) find attractive. If you regularly clean your bare teak, you will restore most of its original color—though at the expense of the teak itself. Avoid scrubbing with stiff brushes, as they wear away the softer grain, resulting in a rough, ridged surface. Many times teak decks are left unfinished to provide a natural nonslip sole. That&apos;s all well and good, but eventually the wear and tear caused by the maintenance will force you to replace the decking altogether—an experience that&apos;s neither pleasant nor inexpensive. So how do you decide which finishing technique is best for you and your boat? Reading the manufacturers&apos; literature can be enlightening, but it isn&apos;t the best way to choose a solution. Rather, you should walk your marina&apos;s docks and look at other boats with brightwork finished to your liking. Strike up a conversation with the owners and find out how they achieved the finish, including what products they used and how long the process took. Get a consensus for what works in your area, and go with the crowd. Whichever finishing technique you choose, note that there are multitudes of books out there about each one. Take a look at what the authors have to say, and then temper their recommendations with what you learn from your fellow boaters. You need to strike a balance between degrees of difficulty and durability. Remember: Every hour spent finishing is one less hour spent enjoying yourself on the water. This article originally appeared in the April 2008 issue of Power & Motoryacht magazine. A Little Tape’ll Do Ya!